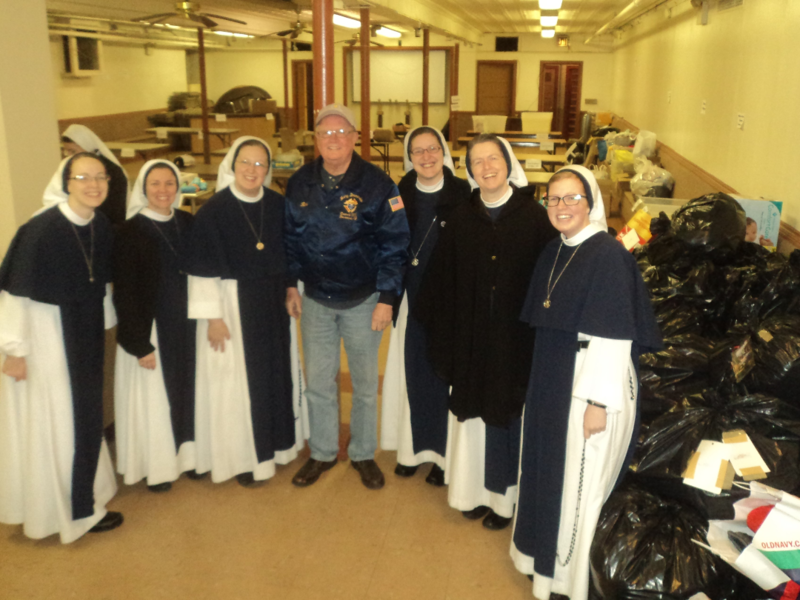 Thanks to the parishioners of Immaculate Conception Church, the efforts of Father Rolando Yadao, parochial vicar at Immaculate Conception Church Secaucus and Brother Knight Santa Richie Steffens and Neal McGarrity the Sisters of Life will be able to bring holiday cheer to a number of needy individuals in the south Bronx this Christmas season. The Thumann’s truck became the Santa sleigh and all the bags to the right were loaded up and brought over. Judy Jaeger, president of the Pastoral Council, and Father Rolando, also a knight in council 12769, sorted all the returns and combined like items into the individual bags.